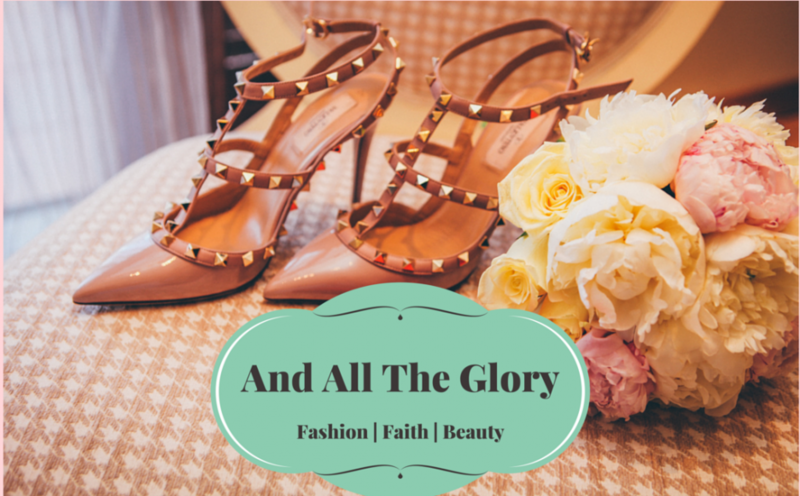 AndAllTheGlory | fashion | faith | beauty. I’ve been an inconsistent tither my whole life. My excuse? “I don’t have extra money to give. He understands. He wouldn’t want us to go without.” Yes, He is an understanding God and yes, He loved me despite of my inconsistent tithing. And when I say inconsistent, I really mean hardly ever. I would normally tithe at church if I had cash on me the time. (I use my debit card for everything so I NEVER have cash on me.) Are you starting to see the pattern? Just a warning here… I’m about to get really transparent and talk about things that I would normally never want the world to know. But, what God is doing in my life is so amazing and He can do it in your life too, so I just have to talk it. So here goes! This was the question I wanted answered to about a year ago when I heard about these crazy beauty subscriptions. Which one is better? Which one gives you more bang for your buck? Well, I am now a subscriber of both Birchbox and Ipsy and have been for nearly a year. Which is better you ask, well I’ll let you decide. This is a review of this month’s (July’s) goodies. I’ll give you a detailed listing of what came in both subscriptions this month and how much each product retails for. I haven’t tried it yet because I just got my box today but I’ll definitely let you know how I like it. It smells terrific, though! It’s funny because I have been on the hunt for a new sea salt spray. I’ve been using Beach Beauty sea salt by Sedu for the past 2 years and I love it but I would like to find something new. Hopefully this will be it! This bottle retails for $28. Who doesn’t love a good app. I love discovering new apps that make life a little easier. These days there is an app for anything (“There’s an app for that!”) so why not take advantage. I compiled a list of a few of favorite apps and some really helpful websites that I love. The best part about this list? All but one of these are FREE. (This website is also available as an app.) This is BY FAR my most used food app. When you first create an account, you can add all of the ingredients that you already have in your kitchen. Using that information, it will populate recipes that you can make just based on what you already have. Is that not the coolest thing!? There are also thousands of recipes available. You can search by category which is what I usually do. (My husband loves chicken so I normally browse chicken related categories.) They have recipes for everything: main entrees, side dishes, desserts, drinks, low calorie meals, etc. Makeup is a big weakness of mine. When I walk down the cosmetic aisles of a store, I begin filling my basket like it’s nobody’s business. I just can’t help myself sometimes. My poor husband has spent countless hours following me around Ulta while I test just about every sample in the store. I’m assuming that we all share this weakness, otherwise you probably wouldn’t be reading this post. Makeup is fun! It makes us happy! So why not treat yourself a little every once in a while. It’s that time of year again! It’s time to ease up on all those hot drinks and bring out your freshest fruit. Last year I jumped on the fruit infused water band-wagon and quickly became obsessed with it. What an easy way to get those 8 glasses of water in each day! Last spring I spend quite a bit of time experimenting with different flavors and mixtures. I found a lot of great recipes on Pinterest and came up with some of my own too. I thought I’d share my top 5 favorite recipes with you. I hope you enjoy these recipes. There are a ton of different mixtures out there! Let me know which ones you like! Happy Spring! Have you ever met a woman that just seems to have it all together? She has a happy marriage, she is a wonderful wife, she has a successful career, her kids are well behaved, she does volunteer work in the community, she cooks dinner every night, her home is spotless, and she looks her best every day. Maybe you might know one of those women-maybe you work with her or she’s a friend of the family or you know her from church. She’s the one that asks you how your day is and genuinely seems to care. She has a glow about her. She beams with joy each and every day. When she smiles you want to smile. She’s captivating. The women that I have met that resemble this persona all have one thing in common. They all remind me of a woman that I have read about time and time again. They are all the same woman in fact: the Proverbs 31 woman. Being a Proverbs 31 woman has been an aspiration of mine since I got married. I’ve actually always wanted to be a Proverbs 31 woman but now that I have “wife” under my title, it seems that aligning my marriage and my spirit with this chapter is even more desired. So a little over a year ago, after the honeymoon was over (literally after the honeymoon was over…. not the pun), I sat down with my Bible and flipped it open to Proverbs 31. 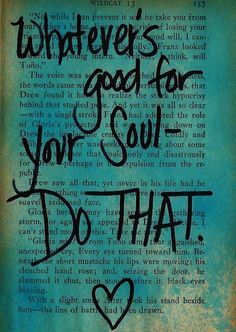 I skimmed over it and then quickly began to copy verses 10-31 down in my journal. “Here we go…. Proverbs 31 woman. Yep! Here we go.” After writing them down, I began to thoroughly read these verses and then tried to think of ways that I could align my life with them. I mean, surely I already do some of these thing, right? The more I read the more I started to feel a bit overwhelmed. “Wow, that’s a lot of stuff God,” I kept thinking to myself. “How am supposed to do all of this?” Well, after a ton of reading and continuous prayer on each verse, I’ve found that the Proverbs 31 woman possesses certain virtues in her life. By living her life according to these virtues in Christ, the spirit of the Proverbs 31 woman is born. By relentlessly living her life for Jesus, the rest of her life fell into place perfectly. “A good woman is hard to find, and worth far more than diamonds. Her husband trusts her without reserve, and never has a reason to regret it. She senses the worth of work, is in no hurry to call it quits for the day. While I am still learning and praying about this Proverbs 31 woman that I admire so much, I have found that the goal isn’t as far away as I had first thought. I have realized that each virtue of this woman is a result of one common factor: her love for Jesus. She wants to live her life glorifying God in everything she does. She wants to please God in every aspect of her life so she makes Godly choices throughout her day. If you want to be a Proverbs 31 woman but feel a little intimidated, just know that it all stems from one component: loving your Savior. Oh, you already do that? Well look! You’re already becoming her! God has been showing me more and more that just by trying to please him in our actions, we are already becoming this woman that we yearn to be. Yeah, maybe she’s a bit more diligent than we are, but we’re on the right path. Yeah, I’m sure this woman has bad days and I’m sure she cries. Luke 6 says, “You’re blessed when your tears flow freely. Joy comes in the morning!” These days don’t keep her from loving God. They probably bring her even closer to Him. There are so many other things we can work on, study, and pray about when it comes to our relationship with Christ. So many pieces of ourselves that need to be chipped away so that we can be that image of Christ. Sometimes it may seem like the characteristics of the Proverbs 31 woman are so far from our reach and that we will have to discipline ourselves to commit to them each day. It’s okay to feel that way. Our hearts are already starting off in the right place because we love Jesus. I’m not worried because I know that God while walk with me through this journey. He will shape me. He will chip away pieces of me that are not a resemblance of Him. With His help, I know I can live like this woman that I’ve wanted to be for so long. And you can too! I mean, we do have a pretty remarkable leader. He is the King of Kings and the Lord of Lords and we get to spend as much time as we want with Him! That’s truly amazing if you think about it. The creator of all things- yeah, I talk to Him every day. He loves me. I mean, that’s enough reason in itself for me to want to live a Proverbs 31 life. Blessed are you when people insult you, persecute you and falsely say all kinds of evil against you because of me. Rejoice and glad, because great is your reward in heaven, for in the same way they persecuted the prophets who were before you. 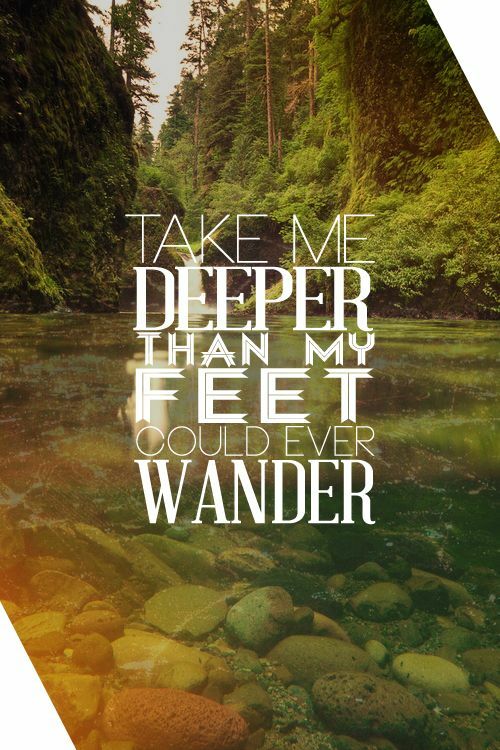 There is something quite enchanting about these verses. Something to ponder, something to grow, something to love. I love how Jesus speaks to me and tells me He loves me when I need it most. He truly is a God of love. During these weeks when Spring begins to set in, I am reminded even more of His love for us. He makes such beautiful things and brings us flowers every spring. Source: Books on my nightstand. What I’m reading now. Let’s just take a moment to be thankful for the power and magic of makeup. Ha! As shallow as that may sound I sure am happy that I can whip out my concealer anytime I have a blemish I want to hide or dark circles under my eyes! I think I can speak for most of us when I say that sometimes makeup can be a little difficult to master. Well, I’m no expert but I have been obsessed with makeup since I was a little girl and I’ve picked up some great tricks and beauty hacks over the years. I thought I’d share them with you in hopes that some of these tips will make your makeup application a little easier. Now that spring is quickly approaching, I have been inspired to add some fresh and crafty accents in my home. Check out these fantastic weekend projects that won’t hurt your budget! 1.Floral Arrangements with a Twist! Super cute idea! You could customize the frame shape and color and even the type of flowers you use. I think this would be a really great wedding present as well. For all you bridesmaids out there, take note! You know the bride is excited about her new name and this is a beautiful way to personalize your gift! DIY wreaths are all the rage right now. I don’t think I’ve come across one that is this cute, though! Reminds me of a spring time Mary Poppins! I would probably keep this gem up into the summer months as well and just change out the flowers every few weeks to freshen the look up.